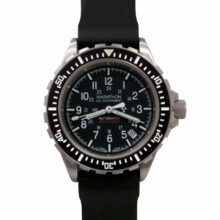 Pre-owned Marathon CCG on Stainless Steel Bracelet. 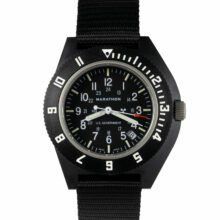 This is an early version of Marathon’s famous SAR watch. 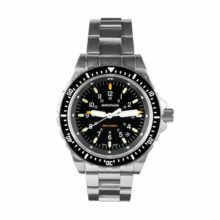 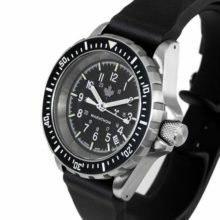 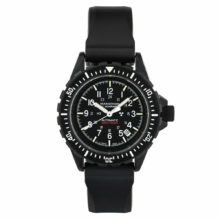 The Marathon CCG diver is a collectible dive watch that was issued in Canada to Search and Rescue Technicians. 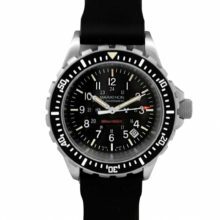 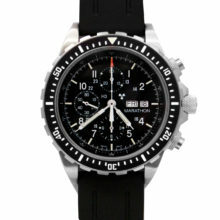 It was sold by the Marathon Watch company and was the forerunner to the highly sought after Marathon SAR (Search And Rescue) and current issue Marathon GSAR watches that were and are issued to US Government personnel. 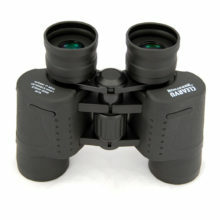 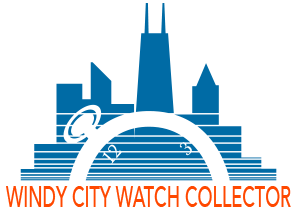 Windy City Watch Collector sold overruns of this model in the late 1990s and very early year 2000. 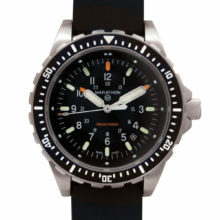 This example is the early “Script” version where the “Marathon” branding is printed in script on the dial. 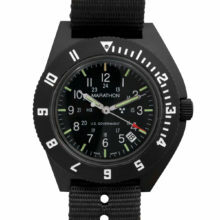 The watch features a fiberglass/nylon composite rotating bezel, luminous markers with even yellow/orange patina, no black spotting or stains. 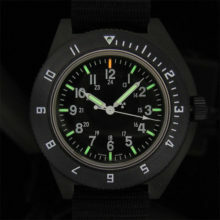 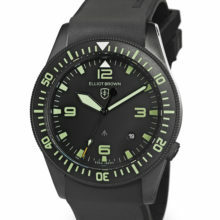 The matte dial and case of this example are in very good to excellent with only small and scattered scuffs. 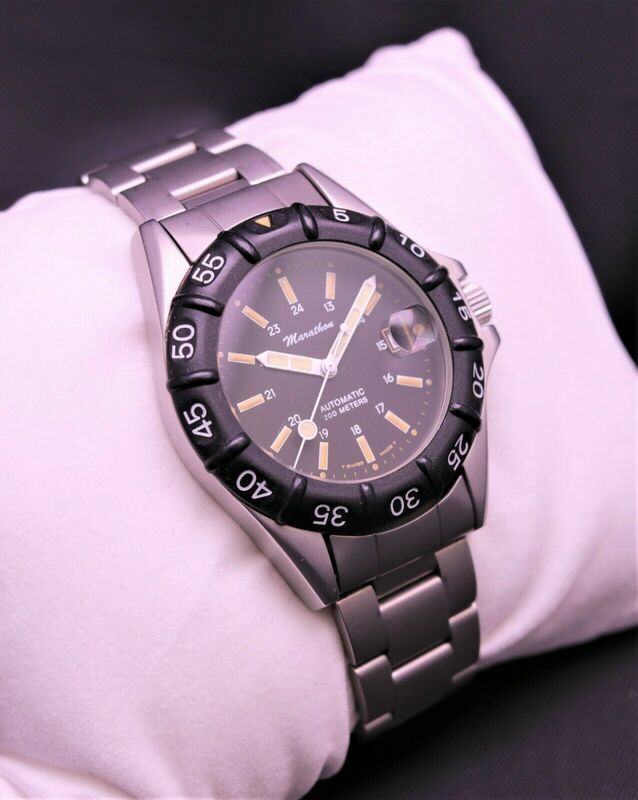 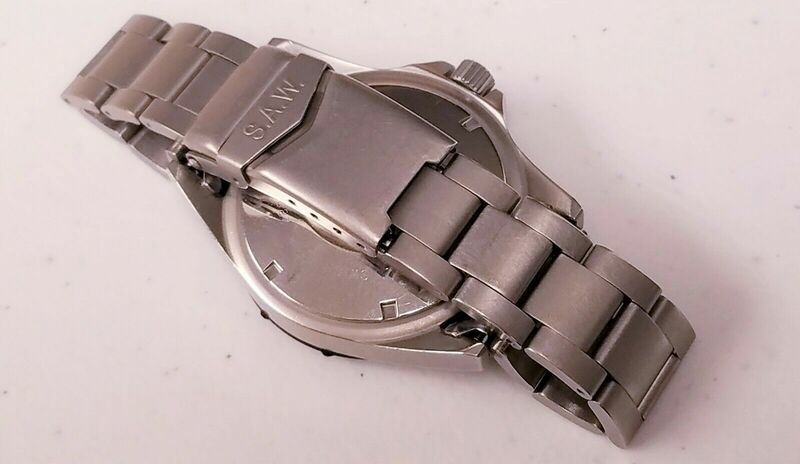 Comes with a stainless steel bracelet marked “SAW” which is the correct and original bracelet. 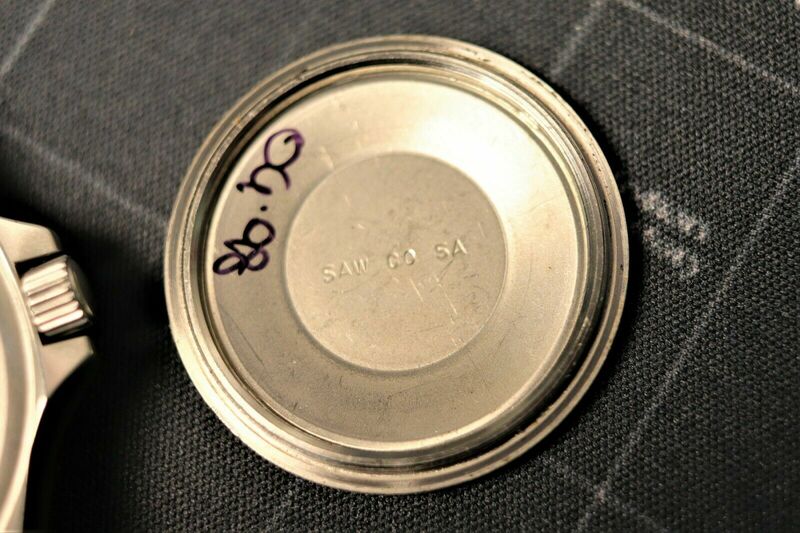 The case back is marked “1826” along with the “SWISS MADE” and “WATER RESISTANT” markings. 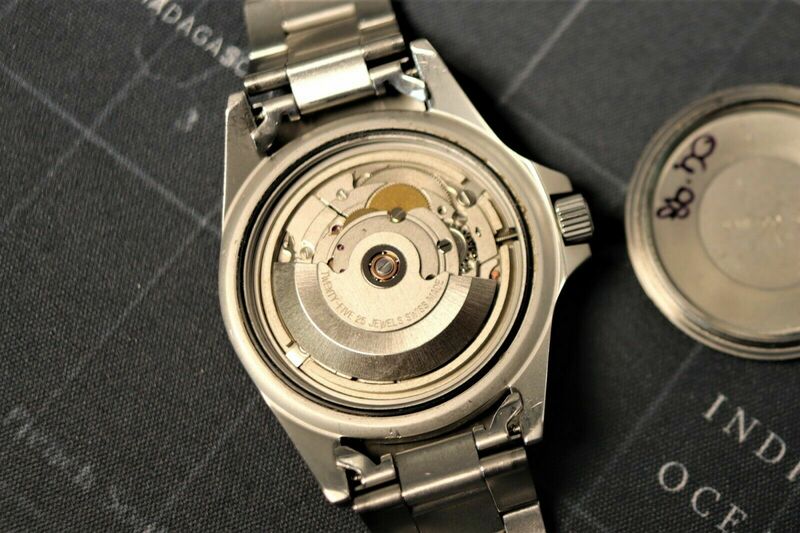 The inside of the case back is marked “SAW CO SA” and the movement is marked “25 JEWELS SWISS MADE.” The movement is the famous ETA 2824. 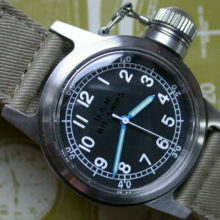 There were a few versions of this watch made. 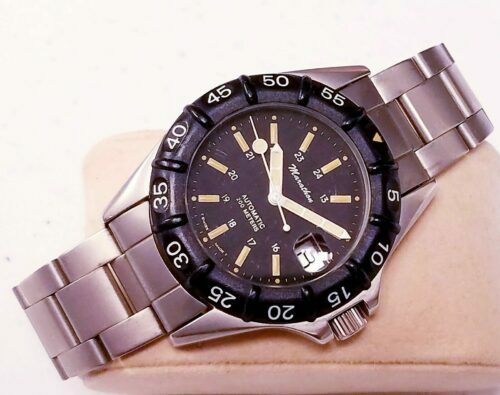 This example was purchased by a collector on the west coast in approximately 2005 and was worn sparingly. 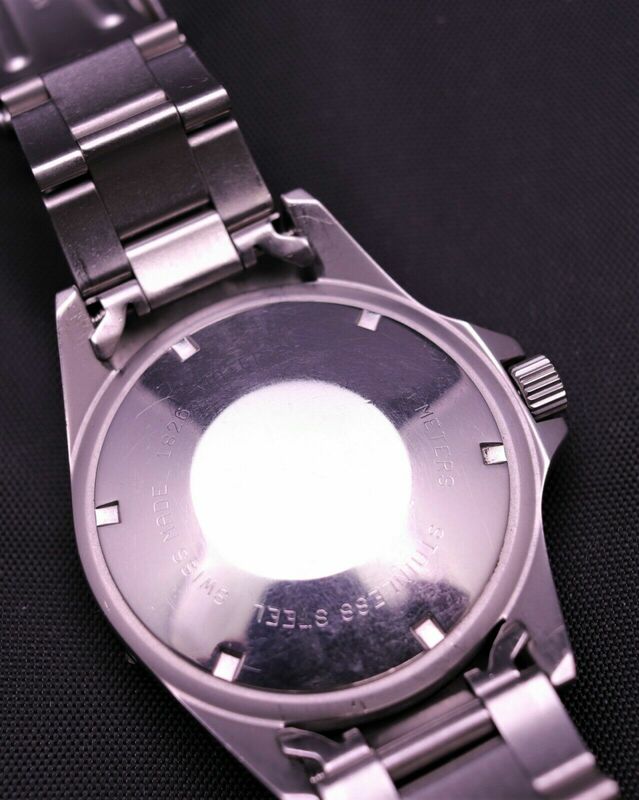 We do not know the service history but the watch is overall very good to excellent with some light surface scuffs commnesurate with age and infrerquent use. 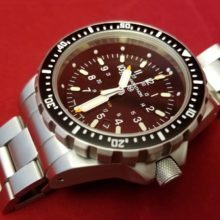 The watch winds (auto and manual) and date changes as expected. 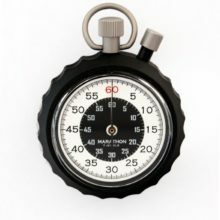 It’s keeping good, accurate time. 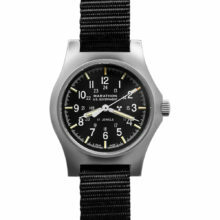 This precursor version of the Marathon SAR is collectible and can be worn today as an interesting and reliable timepiece.